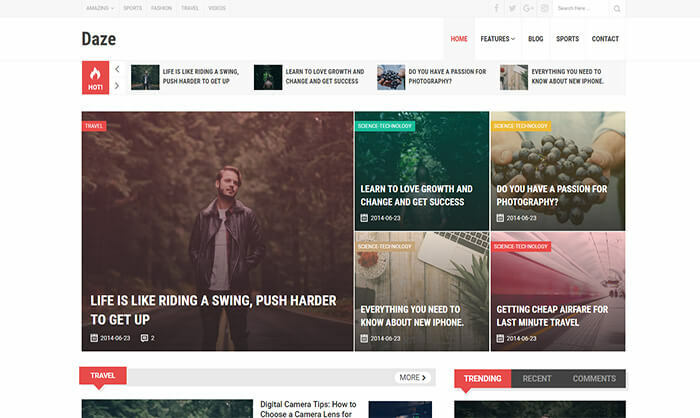 Daze Blogger Template is clean, super flexible , fast and fully responsive blogger magazine template, best suited for magazine, news or blog websites. The template include lots of widgets with many style. Which means it will keep your visitors scrolling with more content. The template is very easy setup and customizable. You can easily setup this template with simple drag and drop options by using layout options. It’s one of the best and recommended theme for fashion, beauty and Magazine, multimedia and personal blogs.